For the first time, Canada participated in the FIFA World Cup. 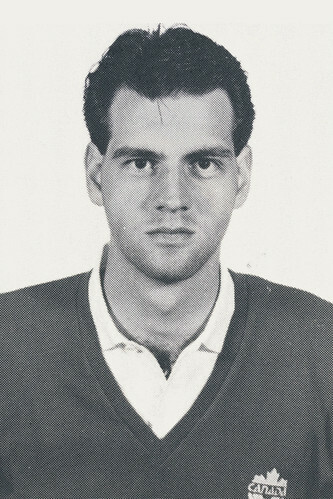 Canada qualified after winning the 1985 CONCACAF Men's Championship. In the FIFA World Cup Qualifiers semi-final stage, Canada posted three wins and one draw to finish first in its group and advance to the next round. In the FIFA World Cup Qualifiers final round, Canada posted two wins and two draws to finish first ahead of Honduras and Costa Rica. Of the 15 CONCACAF teams that participated in FIFA World Cup Qualifiers, only host Mexico and champion Canada qualified for the 1986 FIFA World Cup in Mexico. At the 1986 FIFA World Cup Mexico, Canada lost its opening match 0:1 to European champion France, with the lone goal scored in the 79th minute. Said opposing coach Henri Michel, “you have to admire the Canadian resistance. I was surprised by the Canadian strength in the air and by the fact that they didn’t only defend, but also created good scoring opportunities.” Canada lost its next two matches 0:2 to Hungary and 0:2 to the Soviet Union. Also in this era, Canada finished fifth at the Los Angeles 1984 Men's Olympic Football Tournament. Canada posted one win, one draw and one loss in the group phase to advance to the quarter-final stage. Canada then drew 1:1 with Brazil, but was eliminated after losing 2-4 on kicks from the penalty mark. 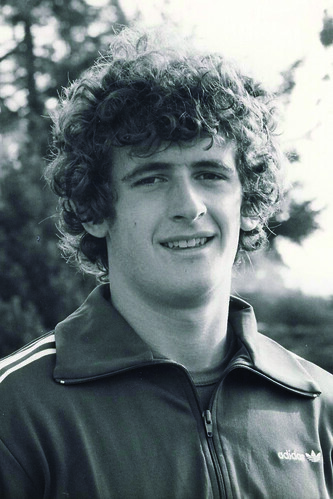 CONCACAF champion Ian Bridge represented Canada at both the Los Angeles 1984 Olympic Tournament and the 1986 FIFA World Cup in Mexico. In all, he took part in three cycles of FIFA World Cup Qualifiers, even scoring a pair of goals in the CONCACAF final round in 1981. In 2003, he became an honoured member of The Soccer Hall of Fame. 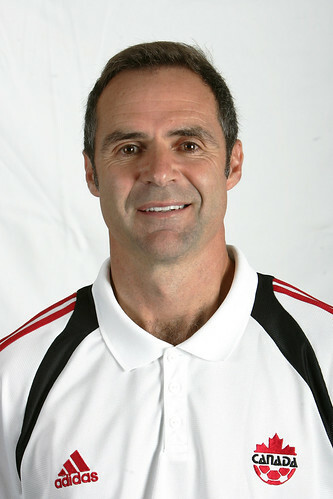 Gerry Gray represented Canada at both the Los Angeles 1984 Olympic Tournament and the 1986 FIFA World Cup in Mexico. 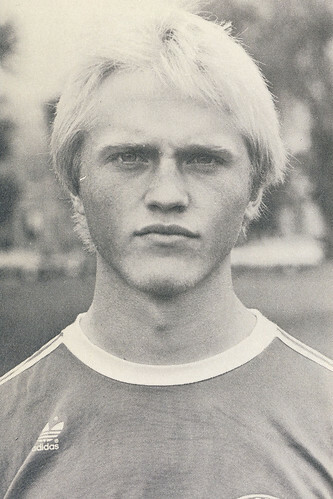 He participated in two cycles of FIFA World Cup Qualifiers, although missed games in 1985 because of a leg injury. He also scored one goal at the Olympics. 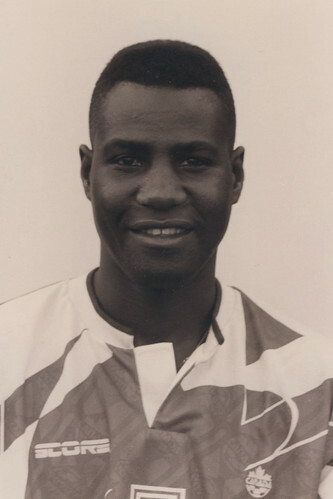 In 2001, he became an honoured member of The Soccer Hall of Fame. 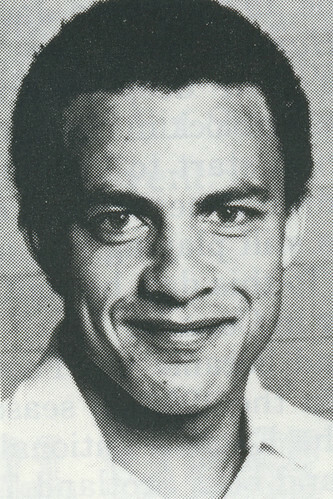 CONCACAF champion Paul James represented Canada at both the Los Angeles 1984 Olympic Tournament and the 1986 FIFA World Cup in Mexico. 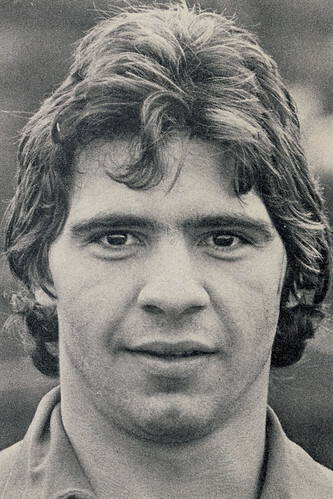 He scored a big goal against Costa Rica in 1985 FIFA World Cup Qualifiers in Toronto. 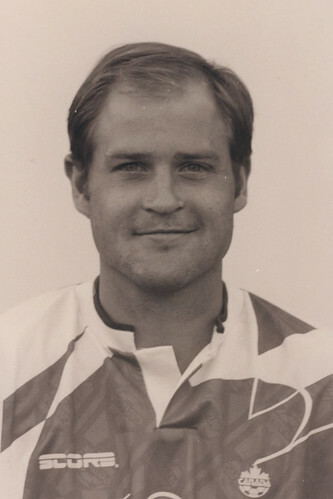 He was also a Challenge Trophy finalist in 1988. In 2003, he became an honoured member of The Soccer Hall of Fame. 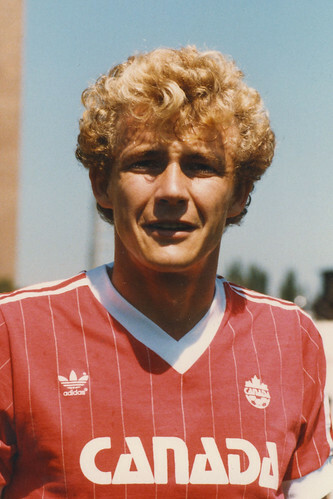 CONCACAF champion Randy Ragan represented Canada at both the Los Angeles 1984 Olympic Tournament and the 1986 FIFA World Cup in Mexico. 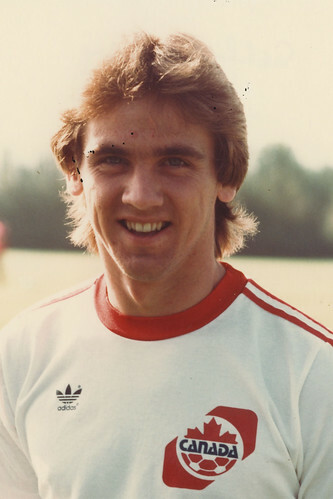 He was also part of Canada’s 1980-81 FIFA World Cup Qualifiers team, pushing Canada to within a goal of qualifying for Spain 1982. 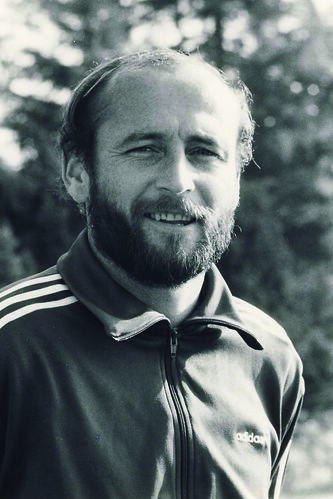 In 2002, he became an honoured member of The Soccer Hall of Fame. 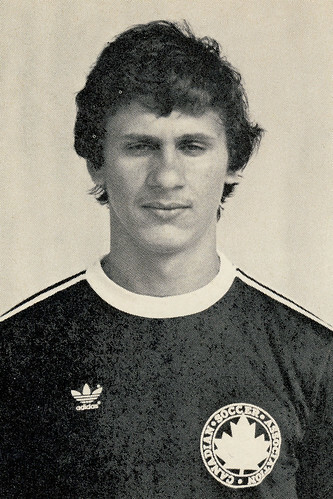 Branko Segota represented Canada at both the Los Angeles 1984 Olympic Tournament and the 1986 FIFA World Cup in Mexico. 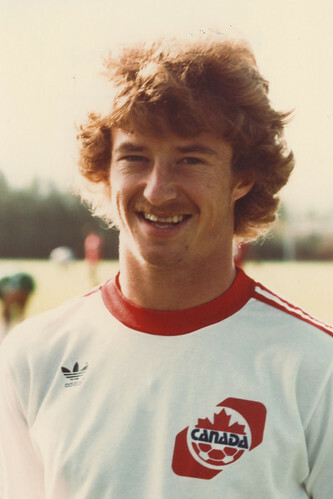 In 1978, he was Canada’s top goal scorer at the CONCACAF Men’s Youth Tournament, helping Canada qualify for a FIFA youth tournament for the first time. 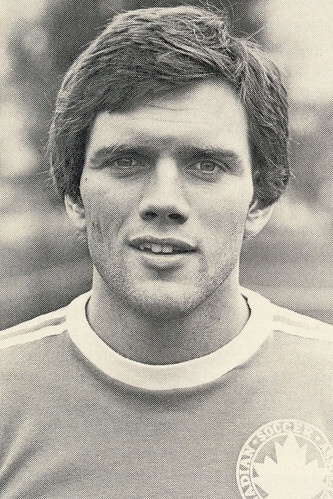 In 2002, he became an honoured member of The Soccer Hall of Fame.